It probably would have been smart of me to read this installment before i read boundless to get a bit more of the back story on Phen, but i’m kind of glad that i read it now. So in Radiant, we are taken through Angela’s summers in Italy where she meets Penamue (Phen), the ‘ambivalent angel’ that she falls in love with. We get to see how their meeting evolves into a friendship into a relationship that is destined to fail since we know that it’s almost impossible for an angel to have a relationship with anyone, let alone a dimidium/quartarius/human. There’ s not much more for me to say about this one – it was a nice story to give us an idea about why Angela’s so obsessed with him, and maybe what the beginning of the school year at Stamford came out of. 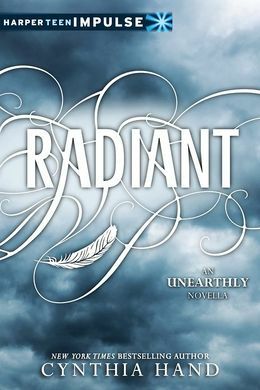 This entry was posted in fantasy, Reviews, Young Adult and tagged Angels, Boundless, Cynthia Hand, Hallowed, Radiant, Unearthly, unearthly series by iscm13. Bookmark the permalink.